Vnomics' True Fuel product is a simple, reliable solution to measure fuel consumption efficiency and driver performance. Arnoff has provided professional moving, storage and logistics services for businesses and households in Albany / Hudson Valley NY for over 90 years. Aer Lingus is the flag carrier airline of Ireland and the second-largest airline in the country after Ryanair. Whalen's Moving & Storage Co.
J.M. Rodgers specializes in customs brokerage, duty drawback, freight forwarding and freight management with a focus on high-tech and high-touch solutions. Benslimo provides luxury transportation in new york, usa and all over the world, call now - 1-800-500-3800. Benslimo - international luxury transportation..
Teal's Express gives you regional LTL freight transportation service throughout the Northeast. You choose the destination. We'll bring the plane. Save fuel and protect your rigs with our areodynamic fuel savings system. Relco Trucking Company offers a variety of trucking services in Southern Ontario, New York, New Jersey, Pennsylvania, Michigan, Ohio, Indiana, & Texas. Georgian Lakeside Resort Hotel is located in the Adirondacks on the shores of Lake George, New York, resort vacations, dining, weddings, and meetings. Rail Europe, Inc. is a North American distributor of European rail products, representing over 50 railroads throughout Europe. Rail Europe's history of doing business in North America dates back to the 1930s. In 1959, the company introduced the Eurail Pass to the North American market. OCWA supplies water to the residents and businesses in the Central New York Region for the improvement of their health, welfare and prosperity, in a manner protective of the resource and environment. School based #bus operator on #LongIsland providing #transportation for public & private school, special needs, & pre-school children. Medical Motor Service of Rochester & Monroe County provides non-emergency, handicapped & disability transportation services to children, adults, and seniors. Make shipping between Canada and the U.S. easy with Purolator International. We offer many services like expedited forwarding, courier delivery, and more! The Trans Group LLC is a group bus transportation companies which include over 1,300 vehicles. get hiired as a bus driver today. Driver Positions available. Servicing WNY since 1986, we offer charter bus rentals and retail tours. The North Area Volunteer Ambulance Corps, Inc. has proudly served residents and businesses within the North Syracuse Central School District since 1970. DeCarolis NationaLease is a commercial truck leasing, rental, service and repair company based out of Rochester, NY with locations across Central and Western New York. Polar Air Cargo, LLC, a subsidiary of Atlas Air Worldwide Holdings, is an American cargo airline based in Purchase, New York. The Padded Wagon is New York's largest national moving and shipping company. 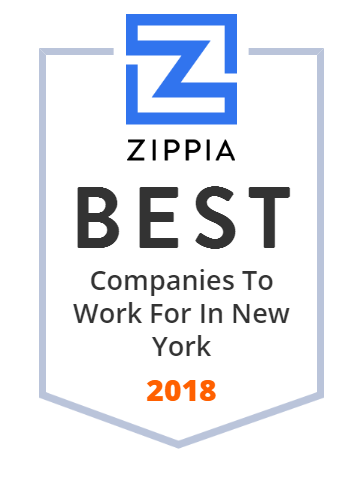 We have earned a reputation over the years as one of the top moving and storage companies in NYC. We also have locations in New Jersey, Florida, and Los Angeles. General Bearing Corporation manufactures, assembles, and distributes bearings and bearing components for original equipment manufacturers (OEMs) and the industrial aftermarket worldwide. The company offers various standard catalog and engineered bearing products, including radial, precision, tapered roller, and spherical roller ball bearings, as well as traction motor armature bearings; precision cylindrical components for universal joint cups and rocker arm rings; and aftermarket products, such as journal box parts, ball transfer products, bearing components, and specialty engineered railroad bearing assemblies and components. It also provides finished or semi-finished bearing rings; and forging components and finish precision balls for other bearing manufacturers. The company serves OEMs in automotive, truck, truck trailer, office equipment, machinery, appliances, and industrial/agriculture markets; aftermarkets in industrial, heavy duty truck and trailer, and railroad sectors; and other bearing manufacturers. It markets its products through regional sales representatives and distributors. The company was founded in 1958 and is headquartered in West Nyack, New York with additional offices in Novi, Michigan; Herzogenaurach, Germany; Sao Paulo, Brazil; and Shanghai, China. It also has manufacturing facilities in Union, New Jersey; and Ningbo and Shanghai, China. As of August 1, 2012, General Bearing Corporation operates as a subsidiary of SKF USA Inc. Whether your travel includes domestic or international itineraries, vacations, groups or meetings, Town & Country Travel is your one source for all your travel needs. The Niagara Frontier Transportation Authority is a New York State public-benefit corporation responsible for the public transportation oversight of Erie and Niagara counties in the state of New York. Leonard's Express is a family owned asset-based transportation provider located in Farmington, New York with office located throughout the United States.